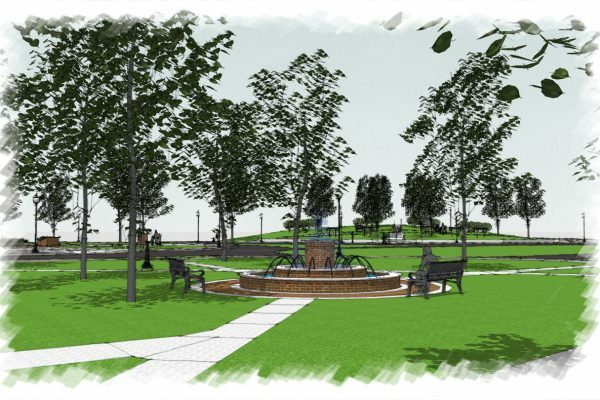 The Borough of Rochester in partnership with Rochester Township, East Rochester, Rochester VFW, Rochester Area Heritage Society and many local residents, are working hard to rehabilitate the three existing public parks in the downtown community. Plans call for each park to be distinctive in nature yet joined together in a cohesive design to allow for community enjoyment. Hancock Architecture is providing design services. 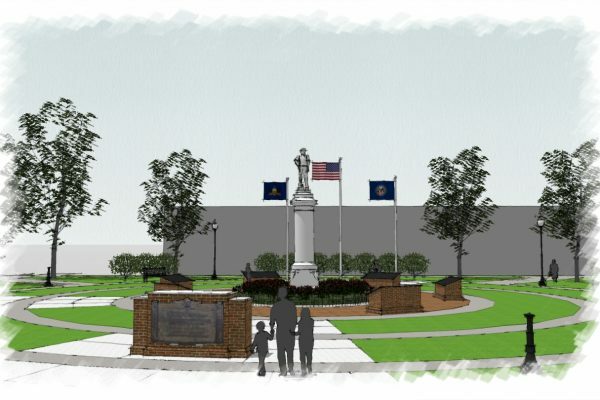 War Memorial Park: This park will include a War Memorial Plaza located at the center of the park displaying the war veterans’ names on etched granite plaques on brick panels. The plaza will be paved with brick pavers – some possible memorial bricks. An area for perennial flower plantings and the original civil war statue is also part of this plaza. 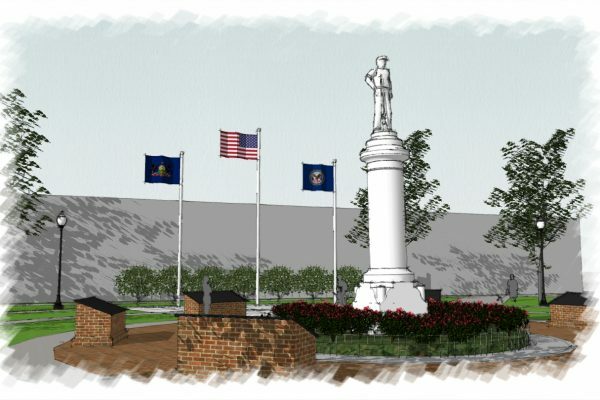 There will also be a flag plaza with three (3) new flag poles and serve as a public presentation area. 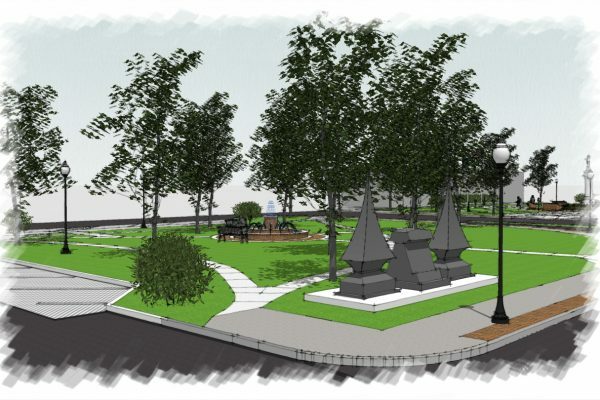 History Park: This park will take the place of the existing war memorial park, and the existing wall that currently is used for the War Memorial plaques will be removed. The design scheme allows for a tree lined “History Walk” through the park and includes benches. A continuation of the existing retaining wall/high curb at the street and re-grading of the site will result in less sloping of the site. This will provide for easier handicapped accessibility and will allow for no ramps or handrails. 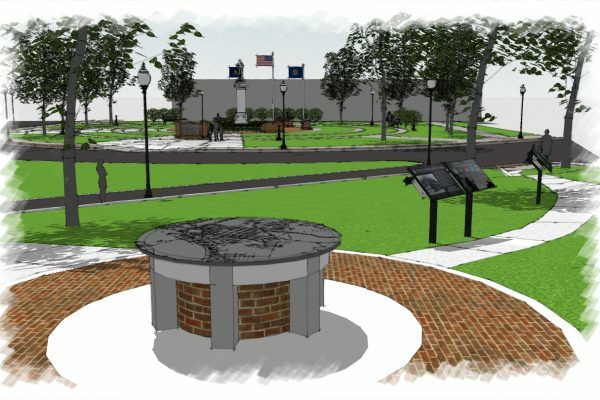 The history displays will be free standing and a central area will include a map of Rochester on a custom designed base. The use of Fry Glass pieces will be incorporated into the design. Fountain Park: Fountain Park will offer visitors tree lined pathways in and around the park with a focal area in the middle of the park of a custom designed pool fountain. Benches will face the fountain for seating and quiet enjoyment of the sound of water from the fountain. Angled parking, including handicapped accessible parking, will be added on West Park St. and Iden Way for easy access to this park and connections to the other parks. Plans call for the project to be constructed in 2019.